Ever wonder what life is like being a police officer? Do you have some community concerns you’d like to share with your local law enforcement? Then make plans to attend Coffee with a Cop at Irving’s Big State Fountain Grill. Enjoy a free cup of coffee while you chat with local officers in this community-focused setting. Flex your knowledge of all things trivial at Brains & Beer Trivia Night at Champps Kitchen & Bar. Enjoy late-night happy hour specials while you and your team compete for prizes! Hosted by the folks at Challenge Entertainment - Dallas/Ft Worth. Round up a group and come to the first Fall Concert Series show at 7p at Whistlestop Plaza, 123 W. Irving Blvd. Looking for an easy way to get out of the house with your toddler? As long as they can walk and stand on their own, bring them down to Toddler Time at Sky Zone Trampoline Park for some safe playtime. Participation is $8, and the jumping gets started at 10 a.m.
Head out to the Texas Lottery Plaza at Toyota Music Factory for Pix on the Plaza entertainment. This week presents the classic movie “ET.” Don’t miss the chance to catch a movie in the open air under the stars. Find some inner peace at this free Meditation Workshop at the West Irving Library. Led by Sahaja Yoga Meditation, this guided meditation workshop will help you destress from the hustle and bustle of daily life. Meditation begins at 7 p.m.
Late Night Tailgate at the Irving Arts Center is an unpredictable live comedy and spirited sports discussion show, Late Night Tailgate is headlined by an ALL-PRO roster of hilarious (and opinionated) comedians, athletes, pop culture experts and local personalities. The show tackles the biggest topics in professional and college sports as well as touches upon current events, entertainment, pop culture – and all things incendiary and debatable. Meander through an array of food vendors, farmers, craftspeople, and more at the Las Colinas Farmers Market. This Saturday Irving tradition is an excellent way to support local farms, eat healthy, and get outside. Live music and fun activities for the kids will also take place. Hit Happy Hour Monday Nights at Yard House, where beer is served by the half yard, for excellent deals on beer, wine, and cocktails, along with half-price appetizers and pizzas, plus, Monday Night Football. The best part? Happy hour prices last the entire game. It’s Tito’s Tuesday at Cool River Cafe, so make a beeline straight from work to partake in $5 Tito’s drinks all day. Grab a vodka drink and a cigar and unwind at one of Irving’s favorite hangouts. Join the Irving community for a special event honoring those who have suffered from domestic violence. Borrowing from the Japanese tradition of floating lanterns on water, Illuminate Irving, hosted by the City of Irving Family Advocacy Center, will host a ceremony where guests can float lanterns along the Mandalay Canals to commemorate Domestic Violence Awareness Month. The event is free and begins at 5:30 p.m.
Two tacos for $2? That may sound too good to be true, but come see for yourself at Taco Tuesdays at local favorite Nosh & Bottle. 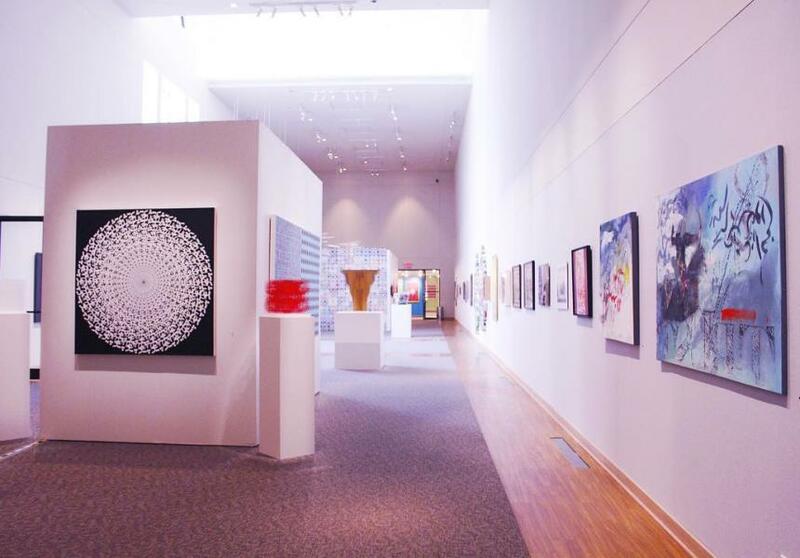 For some arts and culture, take a step into the lovely Irving Arts Center for a Free Guided Gallery Tour. Tours begin at 6:30 p.m. and include the Center’s collection along with the newest rotating exhibits. Avocado Restaurant & Lounge is preparing to throw a Halloween party to end all Halloween parties. At the Halloween Throwback Extravaganza - Costume Throwback Party, sport your best throwback costume and be prepared to dance to throwback music. There will be giveaways for the best costumes and goodies all night. Entrance to the party is $10 and includes free parking. Food and drinks will be available. The party kicks off at 9 p.m.